The Future of Commercial Insurance Broking is a research report, authored by broking start up Konsileo, accounting consultancy PKF Littlejohn & the CII. The report takes a deep dive into the current state of the UK’s commercial insurance market for SMEs, plus looking ten years out and further into the future to how things could change given current challenges in the business insurance industry. One of the main findings of the report is that most of the small-medium business clients surveyed perceive their current relationship with their insurance broker to lack of any personalised or risk assessment value. As the authors predict, the broker-client relationship of the future will be based on data-enabled, valued-added services where the broker will be more of a personal advisor, exactly like a lawyer or an accountant. What is the current state of play & what technology is driving change for insurance brokers? How far will the self-service model go, what do small-medium enterprises clients want & what current client service models are there? You can also listen to our series of webinars recorded with the CII where we talk through the key topics in the Future of Commercial Insurance Broking report – and it counts towards your CPD! Listen here. 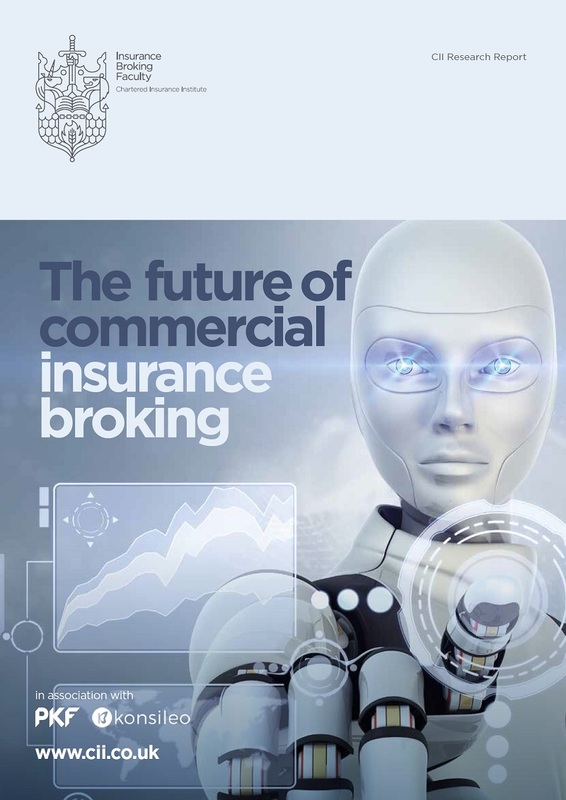 If you want to know more about new business insurance broking trends, download the Future of Commercial Insurance Broking report now in PDF.